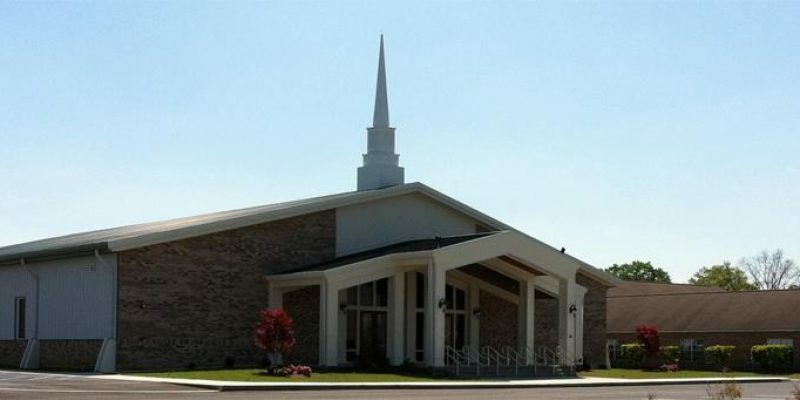 Late Sunday night, a robbery turned fatal at a church in Dothan, Alabama. Some members of Crossroads Baptist Church were finishing up the day’s work, handling the offering money and preparing for a youth trip some members would be taking the following morning. But the seemingly routine situation quickly intensified when a robber, armed with a knife, arrived. 26-year-old Steffan Parreese Valentez Tolver approached one of the church members outside of the building around 10:30 p.m. and then forced the man into the building, according to WTVY-TV. Tolver stole about $50 from the parishioner before moving on to his next target, a staff member who happened to be armed as well – with a handgun. They had allegedly made it into the man’s office inside the church, and at some point during their encounter, the staff member fired a single shot at Tolver. The robber then attempted to run from the scene, but he ended up falling to the ground somewhere outside the church as a result of the gun shot and was later pronounced dead. None of the church members or staffers were injured. As of now, police are saying that the shooting appears to have been in self-defense, which would leave the shooter free of any charges. But police are still investigating the matter, so there’s a chance that new evidence could paint a new picture. Nonetheless, there is still another element to this case that is likely to draw up controversy: a church staff member was carrying a gun at church. Dothan’s Police Lt. Brian Smith addressed this concern, stating that wherever an individual may be, one has the chance to defend oneself. Including at a church.